Hot or not? 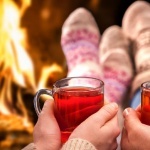 Teeth chattering chills can make it hard to stay warm in winter, but one thing you can keep nice and toasty is your home! 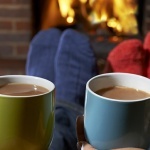 We’ve pulled together our top 20 tips to keep you and your home warm as the cold weather draws in! Radiator reflective foil (or failing that kitchen foil) can be placed behind any radiators on external walls so that heat is reflected back into your home. 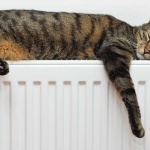 Make sure your radiators aren’t blocked by furniture like sofas or beds. Furniture will absorb the heat and waste your money. Save money by only heating rooms you need to. Turn off radiators to unoccupied rooms and keep the doors to these rooms closed. Make the most of the heat generated by your cooker. Leave the door open after cooking and the residual heat will help you warm up your kitchen. Get an electric heater to top up the temperature . Electric heaters are great if you’re at home at an unusual time and don’t want to change the timer on your heating system or for boosting rooms that lose lots of heat, like conservatories. For a cosy night’s sleep! If you heat your bedroom whilst your sleeping you’ll probably only end up getting too hot and kicking off your covers. Stay warm at night time with extra blankets, rather than keeping the heating on high. Ahhh, if you have an electric blanket nothing beats that feeling of getting into a nice warm bed. If you don’t, a hot water bottle is a handy low cost alternative. No electric blanket or hot water bottle? Blasting a hairdryer will warm you under the sheets, just keep it out from under the covers or it could overheat. If you’ve come in from the cold you might be tempted to crank the heating higher than necessary to compensate. Try wrapping up warm with layers and acclimatising to the temperature first. A decadent hot chocolate, soothing cuppa or revitalising green tea will warm you effectively from within. Get your blood pumping with some active chores like vacuuming or cook over a hot stove and do the washing up in hot water to help you feel warmer. Your home will look spick and span afterwards too – win win! It’s amazing how cold a little blast of draughty air can make you! Draughts under doors can be eliminated with draught excluders. You can buy stylish ones from homeware shops, or even make your own. If you’ve got a house with wooden floor boards they can also be draughty. Fill in the cracks with floor filler for a permanent solution. Cat flaps (or doggy doors) can flap in the wind letting heat escape. You can stop this by insulating the flap or fitting an electric version that only opens when your pet is close by. Letter boxes can really make a difference to how chilly your hallway feels. Combat draughts with letter box brushes. Curtains play a surprisingly big part in warming your home. As soon as the sun goes down close your curtains so they help to keep the heat in. When it’s sunny outside though, heat will enter through your windows and warm your house naturally. So don’t leave your curtains closed all day, open them once it gets light outside. Thick curtains or curtains with thermal lining provide especially effective insulation. Damp can make your house feel colder and even worse can lead to mould. Ugh! Avoid damp by keeping your house heated and ventilating kitchens and bathrooms using extractor fans or open windows where possible. If your home is especially prone to damp it might be worth getting a dehumidifier which will monitor the moisture levels of your rooms and remove moisture as required. For more ways to keep warm this winter, check out these 5 warming and delicious soup recipes.